Perigee Manufacturing Co., Inc. is a Detroit-based, third generation family business founded by Patrick J. Topolewski, in 1965. Perigee began with one Acme-Gridley screw machine and one Warner & Swasey turret lathe in a small 3,000 square foot building. In 1977, Patrick brought in his son, Michael, to help out as business continued to grow. In 1981, Michael became president and expanded the operations to accommodate nearly 35,000 square feet of building to house 19 screw machines, 18 nut tappers, 12 nut slotters, and a full complement of presses, drills, grinders, lathes and other secondary equipment. Michael brought in his son Michael in 1999, and his son Timothy in 2004. In the 2000’s, Perigee added CNC turning capabilities and a full packaging line. 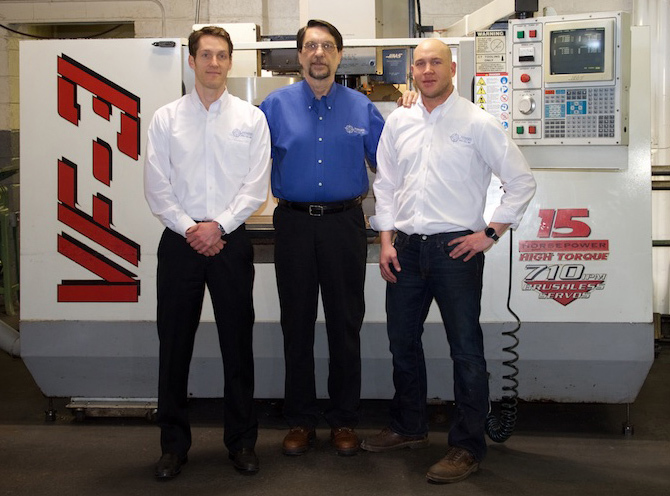 Perigee continues to expand, focusing on manufacturing efficiencies, and increasing both scope and volume of product line, as well as adding prototyping, CNC vertical machining capabilities and automated production. Copyright © 2019 Perigee Manufacturing Company Inc.